The COSCO 3 piece indoor outdoor table and 2 bench tailgate set is the perfect set for any gathering. Constructed of high quality polypropylene and a powder coated steel frame, these table and benches will last whether you use it outside for tailgate parties or inside for holiday get-togethers. These table and benches are lightweight and easy to transport and store. 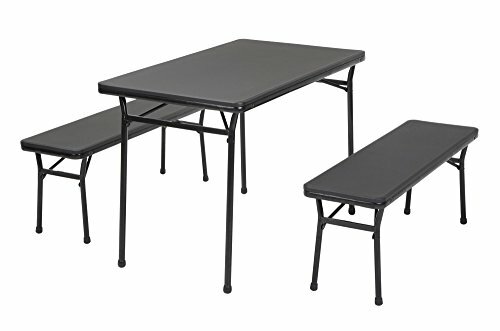 Dimensions: Table: 40.08"W x 23.98"D x 27.56"H Benches: 40.08"W x 11.89"D x 15.75"H.
If you have any questions about this product by Cosco Products, contact us by completing and submitting the form below. If you are looking for a specif part number, please include it with your message.